JPHiP was given the chance to interview Morning Musume。’14 after their successful New York concert. Topics included their thoughts on New York, their fans, the new 12th generation members, and their new triple-A-side single, “TIKI BUN/Shaba Daba Do~/Mikaeri Bijin”. Read on to hear what these talented young ladies had to say! –Michishige-san, what are your impressions of yesterday’s concert? 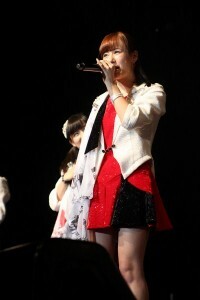 Michishige: Yesterday’s concert was the first time we’ve been able to perform in New York. Being met with such a warm reception, we really felt like everyone had been waiting for us. –As the group’s “net patroller”, are you ever surprised at how much the fans know about all of you? Michishige: Well, as the “net patroller”, I sometimes see comments from the foreign fans supporting us. Perhaps not on the net, but at yesterday’s concert I’m grateful that we got to see in person just how much love and support we have here. 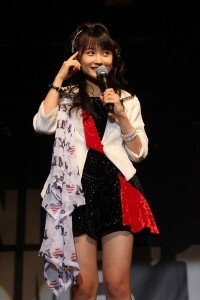 –There are many fans who came to New York that also went to Anime Expo in 2009. What differences do you see between then and now? 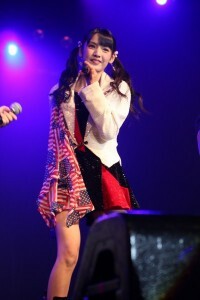 Michishige: Back then in Los Angeles, we participated in several events as well as a concert. Since it was Anime Expo, there were lots of anime cosplayers, which I thought was really refreshing and amusing. Among the current members, we have a few who really love anime like Iikubo and Kudo. I think they must wonder about how much fun it was and how happy everyone was to participate in something like Anime Expo. But this time doing a concert in New York, when you ask about differences, more than how we feel, the biggest difference is the members! Other than myself, it’s everyone’s first time holding a concert overseas. The ten of us being able to have a concert here is, above all else, something to be proud of! –Is there anything you have found surprising on this trip? Ishida: For me, seeing everyone singing along with the songs in Japanese really made me wonder if they had studied just for us. That thought really made me happy. –Satou-san, what is the most fun thing about this trip? Satou: For me, it was hearing the “Maa-chan” cheers. During the concert opening, there’s a part in “One・Two・Three” where everyone comes out one at a time. It was really fun hearing everybody scream when each member came out! –What is something from your experience in New York that you want to bring back with you to Japan? Satou: Um, after we all had our concert, when we came out of the theater, right there was this amazing light! Satou: Neon? Like, the videos and stuff, the huge cola! The billboards that can show anything! Every day would be a party! With all the food carts, it would be like a party or festival every day! That’s what I’d really like to go home with. Suzuki: In New York, there’s a lot of street carts that serve hot dogs and all sorts of other foods. If we had such carts in Japan, I think everybody would go around town with a smile on their face! –Suzuki-san, going back to your concert self-introduction, what did you have for breakfast today? Suzuki: (laughs) It might be a bit of a let-down, but I only had a grilled onigiri. –Were you surprised at how well you were received at the concert yesterday? Suzuki: I was really surprised! Even though I was speaking with a mic, when I heard everyone’s cheers come across even louder, I really felt their power. I was so happy that I got goosebumps! –You obviously are very popular among the overseas fans. Why do you think that is? Suzuki: Why? In my case, there’s a lot that I don’t really understand. My guess is that even though I’m really really bad at English, you don’t need words to understand facial expressions. I think smiling, in particular, is the most straightforward way to convey emotion. I really love seeing people smile, which makes me feel happy and want to smile myself. Through that chain reaction, I’m often seen smiling a lot. Perhaps it’s a similar chain reaction that I have to thank for getting people to like me! –Ikuta-san, were you expecting the audience to “ehhhhh?” during your MC? I’m really thankful for that and want to be even more widely known! –Fukumura-san, how do you feel about foreign fans calling you things like “Mizuki-hime” (“Princess Mizuki”) or “Fuku-hime“? Fukumura: I really wonder why! But since princesses are so cute, it makes me happy. –I think it’s because you have a “princess aura” about you. Fukumura: (laughs) Well then, please keep calling me Fuku-hime! –Is there anything you want to ask the foreign fans? Fukumura: There’s many fans that copy our dances and I’m surprised whenever I see videos of them even copying our formations! How do they go about learning those? Ishida: Everyone’s Japanese is really good, I was surprised! The crowd even gets more excited when we speak Japanese than when we speak in English! I’d like to know where they learned Japanese. –In recent years, there seem to have been a lot more female fans. What do you think is driving this trend? 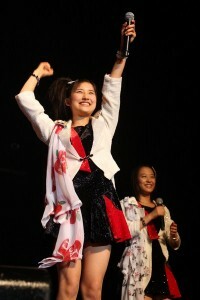 When Michishige-san became leader, it felt like Morning Musume。 became stylish. At that point, girls our age might become fans just by seeing us. I think that was probably the beginning. Kudou: Being the boyish one in the group, it makes me really happy when people tell me things like, “You’re so suave!”. So not just with cuteness, not just to the men, I’d like us to be introduced to more and more women so that they can get to know and remember us. JPHiP: Fukumura-san, in the last week there have been five Hello! Pro Kenshuusei (“trainee”) members announced as new members of Hello! Project, including two as members of the 12th generation. As their older sister figure, how do you feel about this? Fukumura: Since I’d worked so hard as a Hello! Pro Egg, just as the girls in the Hello! Pro Kenshuusei always do, it warms my heart to see them debut. Hearing things like how the new 12th generation member Maria Makino really loves baseball makes me think they all must have very unique personalities. I’ll be looking forward to seeing more of them. JPHiP: Oda-san, with 12th generation just joining, you are now a senpai. What do you want to teach your new juniors? Oda: When I had first joined, my seniors did many fun things with me. Likewise, I want to show the new members what a wonderful group Morning Musume is. JPHiP: Sayashi-san, again regarding the new members, we have heard that Akane Haga is very skilled at calligraphy. If something needs to be written out, would you still do it or would she? Sayashi: Up till now, there have been many times I’ve been in charge of calligraphy for things like title calls for TV shows. I’m a bit worried that those duties will be taken away by the new member Akane Haga. I’ve had that feeling ever since Haga-chan joined, so I want to keep practicing my calligraphy and not be beaten. JPHiP: Iikubo-san, one of the new members is also named “Haruna”, so how will you differentiate? Iikubo: I still haven’t had much chance to talk to the new members, so I’m not sure how they’d like to be called. Just going by our looks, I wonder if we’ll be known as “White Harunan” and “Dark Harunan”. JPHiP: What did you think of Miki Nonaka’s English speaking? Iikubo: When I first heard her, it was like “Wow!”, even though I couldn’t understand. From the English-speaking staff, it seems like she has perfect pronunciation. JPHiP: Ikuta-san, many fans have taken an interest to Nonaka-san because of her English. Since you are “aiming to be the world’s #1 idol”, how are you going to fight back? Ikuta: Nonaka-chan might be able to speak English, but even though the words seem really hard, maybe I’ll do my best at French! If I’m going to be the world’s #1 idol, I think I’ll have to gradually learn words from various countries around the world while asking Nonaka-chan to teach me some English. JPHiP: In the new single, which song do you find yourself liking the most? Oda: In “Mikaeri Bijin”, there’s a feeling like the 9 of us are put in contrast with Michishige-san. It’s a song where everyone is always singing in unison and everyone can relate to all the lyrics. It feels like a song where all of our feelings are united. JPHiP: Kudou-san, earlier today the music video for “Mikaeri Bijin” was released on YouTube. Near the end we see you crying while reading Michishige-san’s letter to you. What made you cry? Kudou: Receiving Michishige-san’s letter and reading it, I was very moved. But really I’d heard several days before the shooting of the music video that we would be given letters from Michishige-san. Just remembering how happy I was, I was so moved that I cried tears of joy. JPHiP: Ishida-san, as you are often in charge of rap parts for songs, how do you feel about the DJ-inspired moves in “TIKI BUN”? JPHiP: This year was filled with so many things like Lilium, concert tours, and now, performing in New York. Do you think that Kouhaku is within reach? Sayashi: As a Japanese artist, appearing on Kouhaku is something really amazing since everyone aspires to be on that stage. It’s definitely something we all want to do. Of course appearing there–that is, if it was decided–the 9 of us would be there without Michishige-san. Instead, Michishige-san would be warmly watching over us from the other side of the screen. That’s the kind of future I envision for us. JPHiP: Michishige-san, fans often argue about who will be the next leader. No matter who it will be, do you have any advice for her? Michishige: When I became the leader of Morning Musume as “The 8th Leader”, I really felt a lot of pressure and nervousness. But of course I noticed that the members around me were supporting me. So instead of being by herself, being with the other members and relying on them is the how I’d want her to do her best. JPHiP: Do you have anything else you want to say to your overseas fans? Michishige: We’re very thankful for being able to have our first concert in New York. For all the fans we’ve kept waiting, we’re so glad we were finally able to come and meet you! Even though I’m graduating, all of us will continue to work hard to be able to perform here again. Please continue to support us! Special thanks to Yaz Noya, David Cirone, and UP-FRONT PROMOTION for making this interview possible.